Spring is pretty much here, and I have just the way to celebrate! 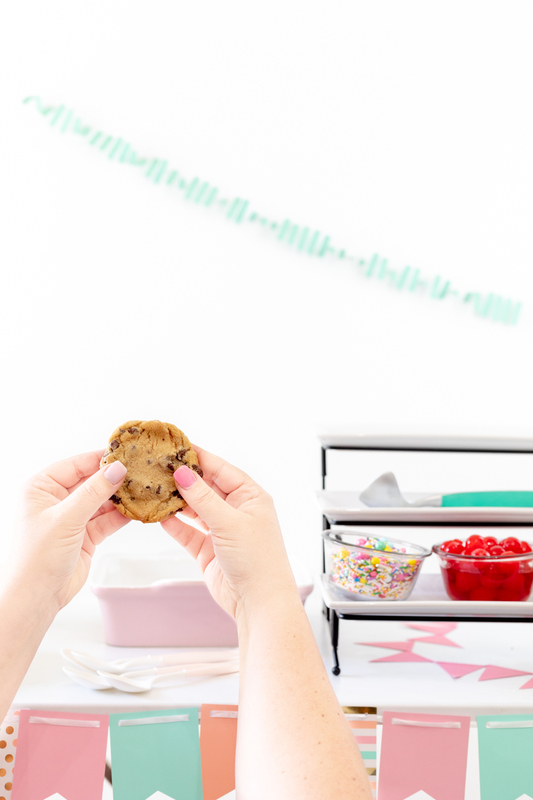 A sweet soiree with delicious treats is in order if you ask me. 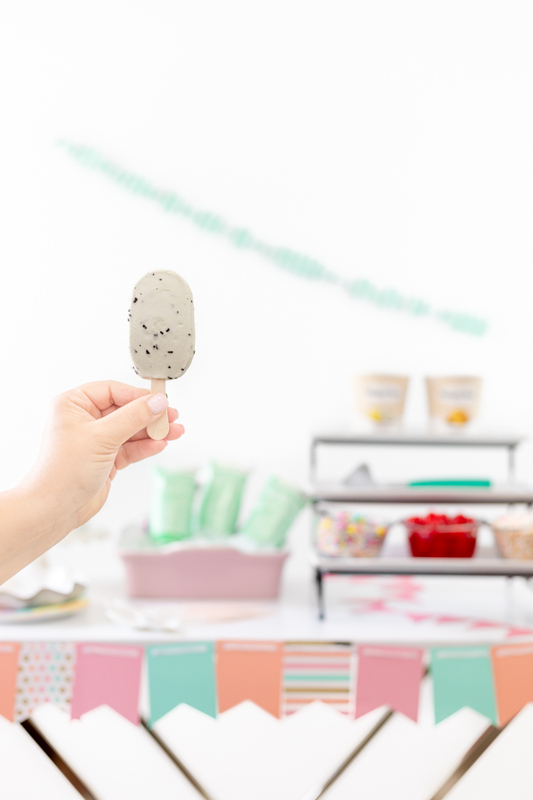 Enter these yummy ice cream bar ideas that are perfect for a delish spring themed party or a way to elevate any day. 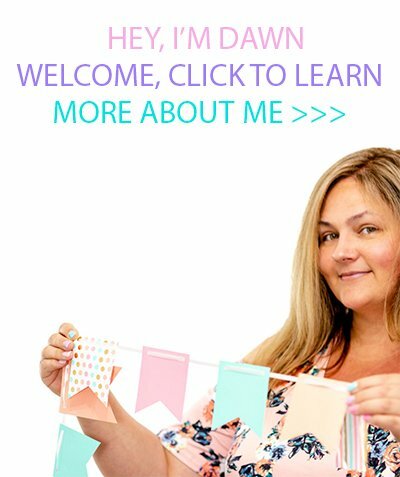 Let me share exactly how you can recreate it at home! You know that I totally love relying on from the freezer products mainly because they last longer, and you can stock up so that you can whip up a meal or dessert in no time at all. That’s what I call winning. You can basically make your own occasion any night of the week. Right now is a sweet time to get in on some extra savings on your favorites at Publix, too! Check out these exclusive Cool Foods savings happening from 3/16/19-3/29/19. So many of my fun favorites are on sale right now but I was inspired to try something a little new! Once you have your basic sweet goodies picked out, the rest falls in place so easily. Think ice cream, frozen dessert bars and other delish complementary goodies like freshly baked cookies. 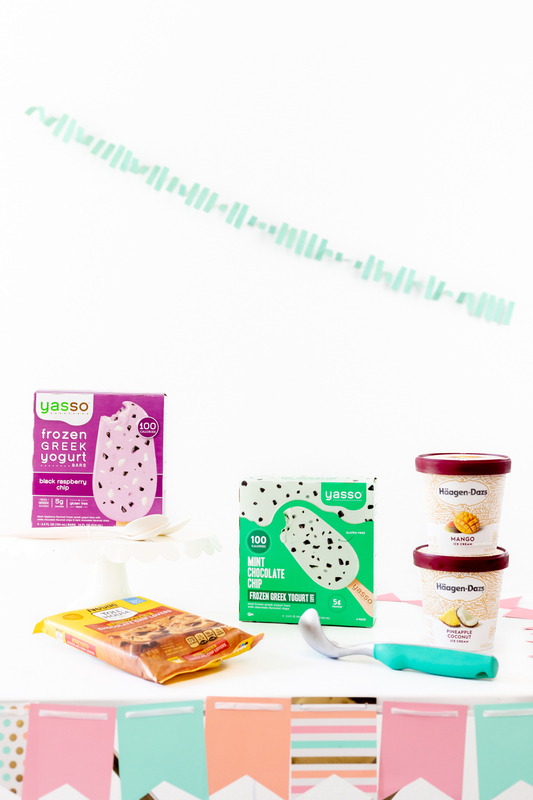 When I spotted savings on Yasso Greek Yogurt Bars, Häagen-Dazs Ice Cream and Nestlé Toll House Cookie Dough… the party mood hit me! 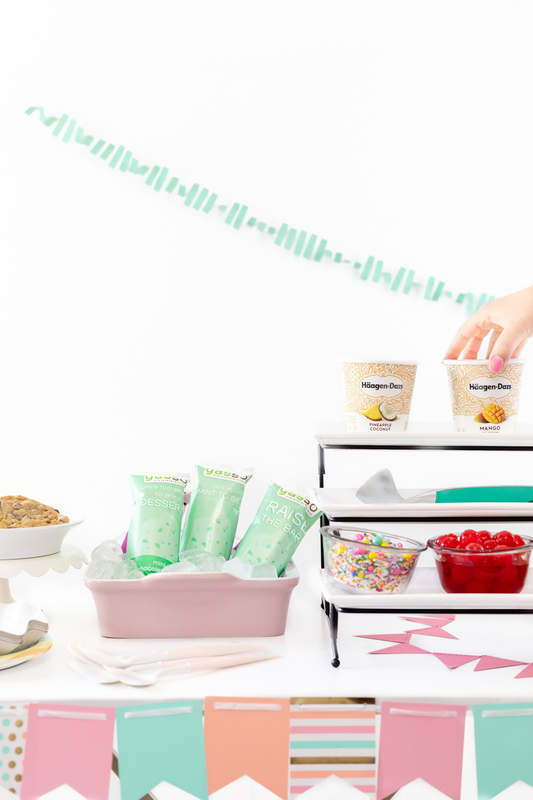 Adding a little sundae bar to the fun is always a win. It’s so easy to do. Pick some delish sounding ice cream flavors like Häagen-Dazs Mango and Pineapple Coconut Ice Cream are just perfect for that spring vibe. Maybe even a good kick start for summer. Whoo hoo! Why not? 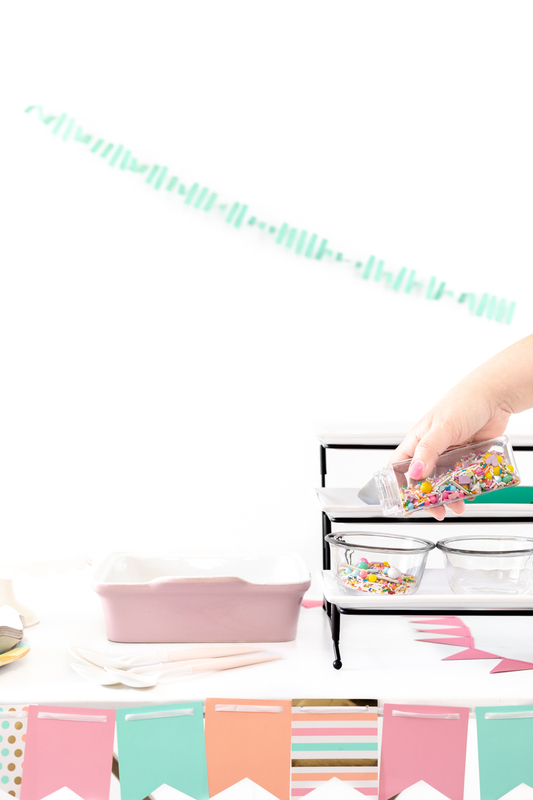 Just don’t forget all of the rest of the fixings from colorfully fun sprinkles, cherries, sauces and whipped topping. I loved making this one extra special with warm baked cookies. Seriously. How delish on a sundae? It will be unusually memorable, I promise. Are you feeling hungry yet? 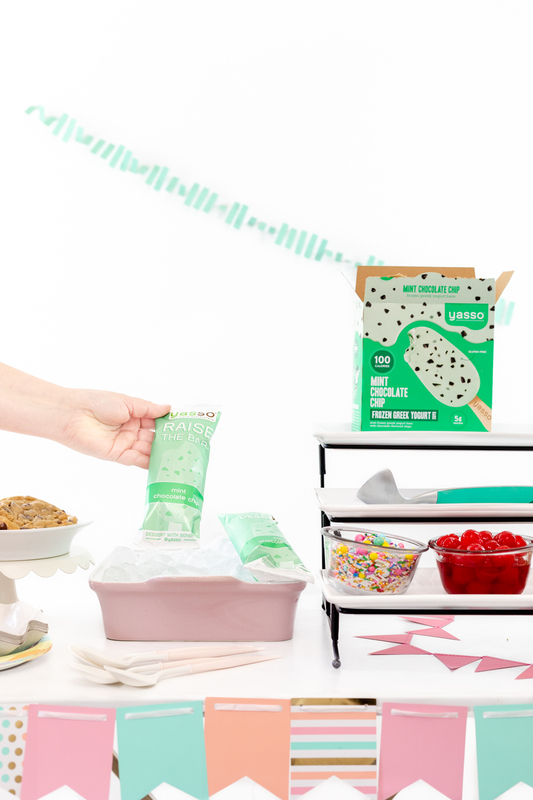 To make your ice cream party even more memorable, set out other yummy options like Yasso Greek Yogurt Bars. They come in a variety of spring-perfect flavors. I chose Mint Chocolate Chip and Black Raspberry Chip for a tasty twist. I like to lay mine out over ice to keep them as cold as possible… a cooler would work too if you’re having a larger scale party. 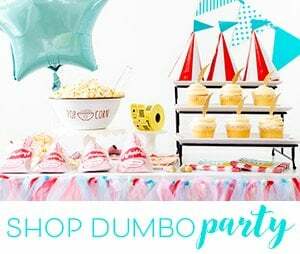 After you make your selections, add some simple spring colored party banners to seal the deal. 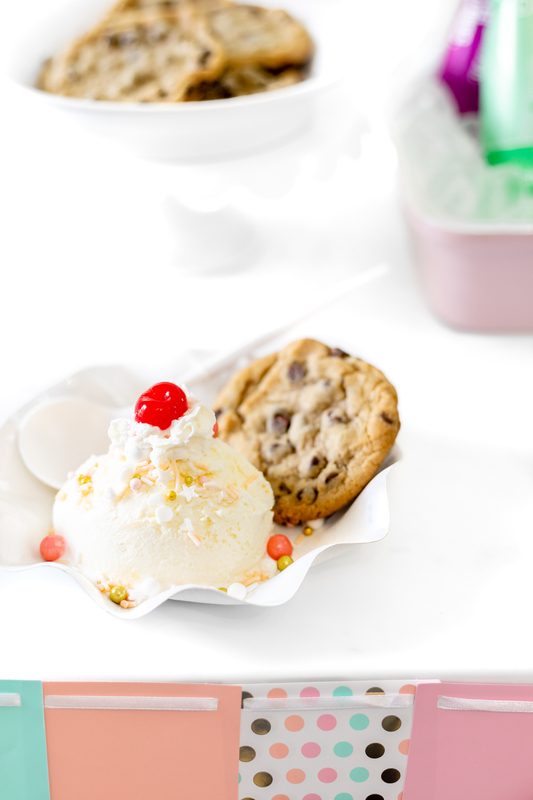 You have yourself a simple ice cream fiesta, one of my very fav ideas! So easy and so delish! Everyone will love it and it takes such little effort. Shop at Publix for these yummy ingredients. 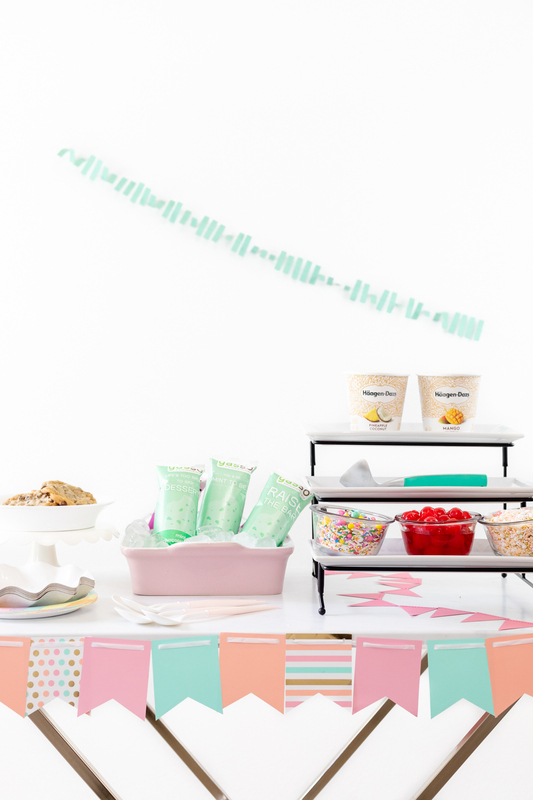 You’ll find cool savings on some of the scrumptious ingredients used to set up an ice cream soiree! Make sure to visit your local Publix to stock up select frozen and dairy foods with these awesome Cool Foods prices over here. It’s a great time to fill your fridge and freezer with spring on the way. Hurry, these savings are only good from 3/16 through 3/29. Happy shopping!